Welcome to the Polito Ford Service Department - Polito Ford Lincoln Sales. 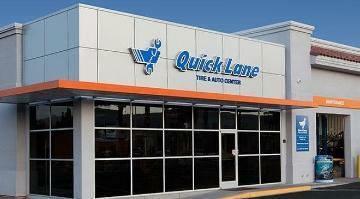 Our Quick Lane technicians receive the latest in comprehensive Ford training programs to ensure they have the skills to repair your vehicle right – the first time, on time. Our service technicians will explain what needs to be repaired and why. And since car repair terminology can sometimes sound like another language, we always encourage you to ask questions so you know exactly what we're doing and why. A detailed maintenance schedule helps keep your car or light-duty truck operating at peak efficiency. Your vehicle has a maintenance schedule that's designed to give it what's needed when it's needed. The services listed in the maintenance schedule are required to help ensure the proper operation, safety and performance of your vehicle. 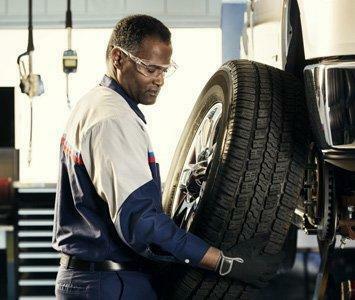 A scheduled maintenance service begins with an accurate assessment of your vehicle's condition. Our Technicians will want to know whether your vehicle is exhibiting any symptoms of a specific problem, such as rough idling, engine hesitation, or poor fuel economy. The technician will also want to know what kind of driving you do most often, such as stop-and-go driving, pulling a trailer, or regular everyday driving, to help you determine which maintenance schedule and service is right for you. One of the simplest and best things you can do for your vehicle's engine is to change your oil and filter regularly. Our service department features Motorcraft® oil and oil filters, specially formulated for the demands of today's tough environment and driving conditions. Today's cars and trucks run hotter and longer than ever before – so it is even more important to use high-quality oil and to change your oil and filter regularly. 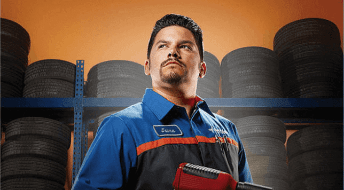 Our Service Department is equipped to deal with all your tire needs, including installing, balancing, alignment, and repairs. We offer convenient, while-you-wait, friendly service, and a wide selection of brand name tires, all competitively priced! The right time to replace your tires depends on a number of factors including the condition of the roads you drive on, your style of driving, and how your tires are maintained. Generally, worn tires should be replaced before 2/32" of tread remains or when the tire's "rubber wear bar" is even with the worn tire tread. 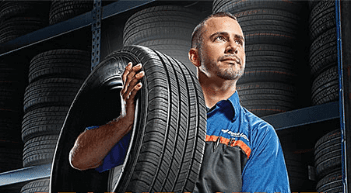 Whether you need winter, all-season, performance, or summer tires, our service department will help you select the tires that best suit your driving needs. Before Starting, be sure you can STOP! Have your brakes inspected regularly to help ensure your vehicle continues to be safe to drive. Our Service Department makes regular brake inspections easy. We offer convenient, while-you-wait, friendly service. 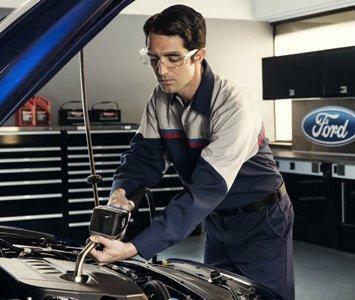 Our service department features Motorcraft® and Ford original equipment brake pads and shoes. Our technicians can help you spot problems before they result in costly repairs; or better still, confirm that your brakes are fine for added peace of mind. Proper wheel alignment helps your tires, steering, and suspension deliver a safe, controlled, and comfortable ride. Our Service Department uses computerized alignment equipment is used to measure and adjust each wheel according to manufacturer specifications. For every kilometer traveled, your shocks stoke on average 1,094 times. That really adds up! Our factory trained technicians can inspect your shocks and struts to make sure they are working at peak performance. The right shocks or struts can improve handling, braking, steering, and even fuel economy! Regular battery tests can help you avoid being late, stuck, or stranded due to a surprise battery failure. Our factory trained technicians are fully equipped to test your battery and install a new one when required. Our Service Department features a wide range of high-quality MOTORCRAFT® Tested Tough™ batteries with high dependability and excellent warranty coverage – all at a competitive price. 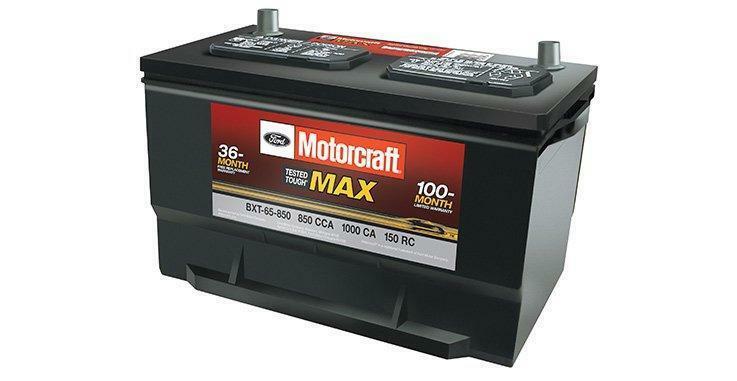 Motorcraft® batteries are manufactured using the high quality standards and the latest technology in design and engineering. Our Service Department offers an exhaust inspection. Let our Technicians help you spot problems before they result in costly repairs, or reassure you that your vehicle is functioning properly for added peace of mind. 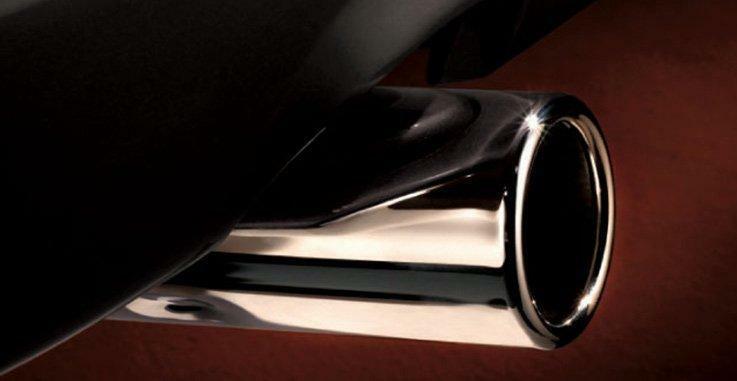 We offer both Ford-branded and Walker exhaust systems that are precision engineered, rigorously tested, and reliable. Our factory trained technicians are able to perform other non-maintenance related service work that is not described above, so contact us if your vehicle requires something note listed above. Please feel free to call us at 705-328-3673.